SUMMERSIDE, PE – A brewery and pub announced last summer is now open in the historic former railway station in downtown Summerside. Evermoore Brewing has been founded by Alex Clark, the owner of nearby restaurant OpenEats, and is named after a boat that was owned by his family when he was younger. The pub is currently serving two house beers – Summerside Light, which is the brewery’s flagship brand, and Hoppy Lager – as well as other beverages. Food service will be added later this year, but for now, customers can order in delivery. 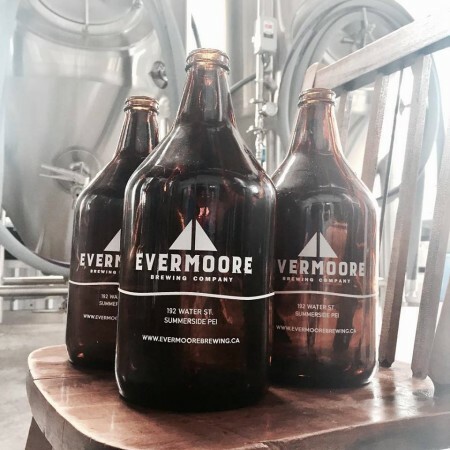 Evermoore Brewing is located at 192 Water Street in Summerside, and is open from 12:00 noon to 8:00 PM Sunday to Thursday, and 12:00 noon to 10:00 PM Friday and Saturday. For more details, see the Evermoore Facebook and Instagram pages.